I didn’t realize what a hard winter we were having until it got warmer this week and everything became SO much easier. I was in a neighborhood shop the other day when someone asked what I’d been up to. My mind drew a complete blank – I couldn’t remember what I’d been up to because I felt like I’d just woken up. We’ve been so storm tossed the past couple of months that it felt like winter was having us. It’s been weeks of face down, boots on and scurrying from one place to another. All that changed overnight – which it always does though I always forget. With the weather warm enough to wander – head-up, ballet flats, scarf-as-accessory – I took the long way to Soho through Chinatown. I couldn’t have been happier if there were actual leaves on the trees. I was having my first scoop of outdoor ice cream (red bean) from the Chinatown Ice Cream Factory when I decided to look into a few grocery stores to find the ingredients for ube ice cream. 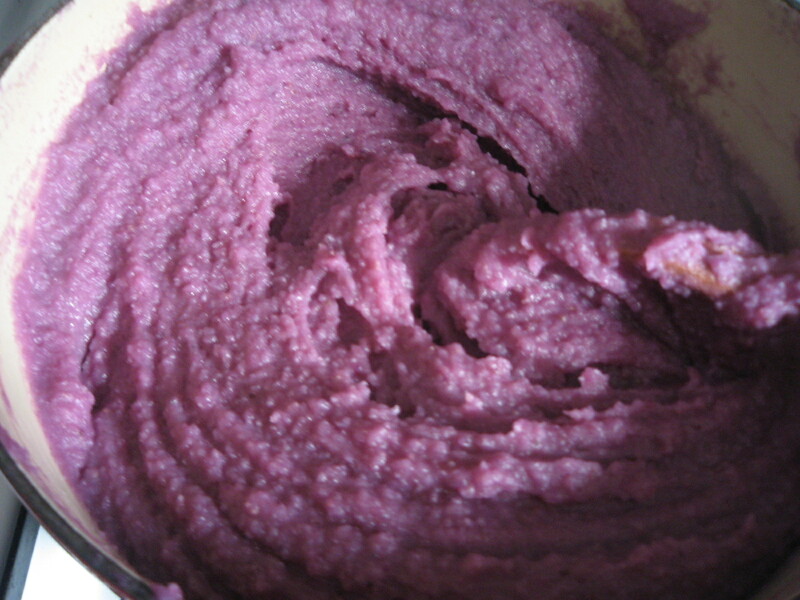 Made from a purple yam native to the Philippines, I tried it for the first time last Spring when I did a market tour with my blogging group that ended with us making a traditional Filipino meal led by Chef Annette Tomei at the French Culinary Institute. With a new tour planned for this weekend almost a year later, I couldn’t wait another minute and decided to break out the ice cream maker. After a few misses, I finally found the yam powder packets exiled far from the Chinese powders in the curry section of Hong Kong Market. I stocked up on the boiled beans and jellied fruits we’d added in class but decided to throw in a few of brigadeiros as an alternative. 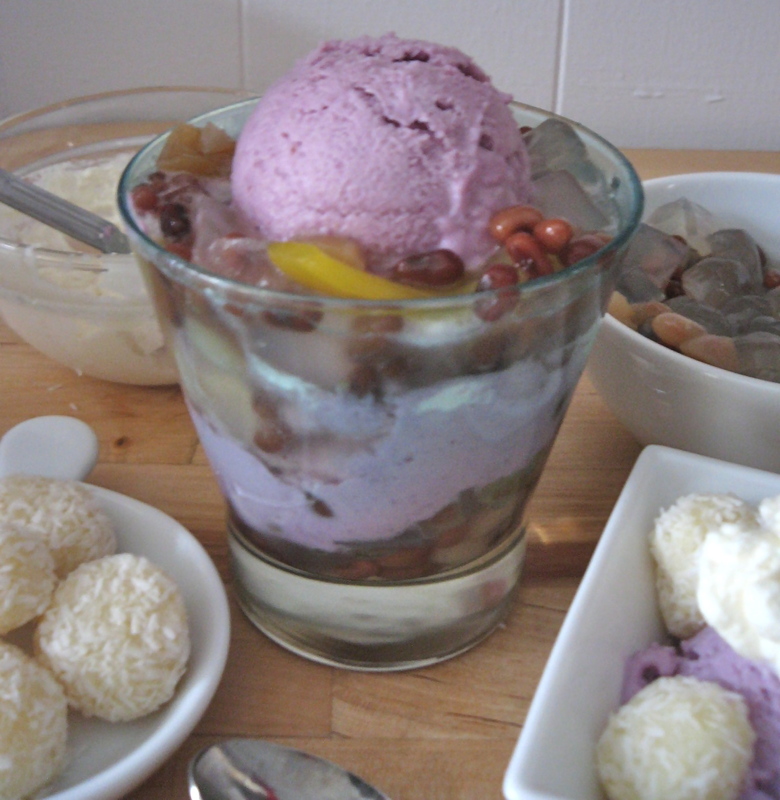 I didn’t have the shaved ice to make it a true halo-halo sundae but I’d had enough snow for awhile anyway. 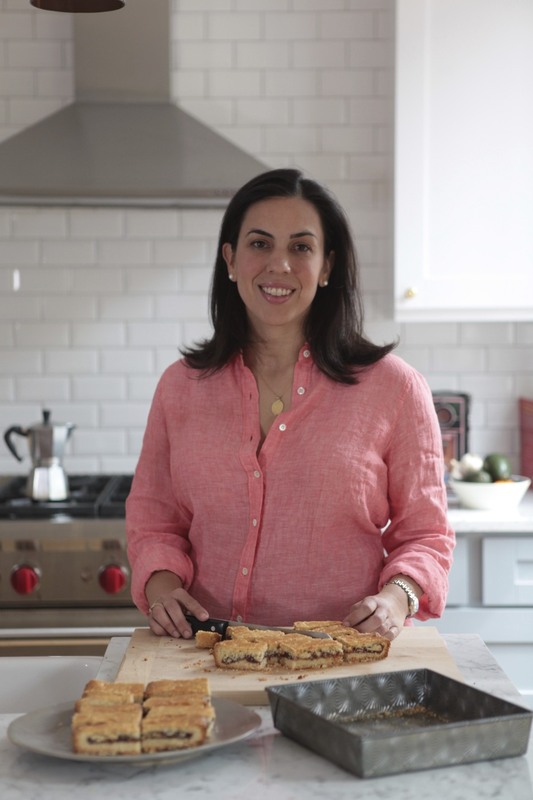 Adapted from Memories of Philippine Kitchens by Amy Besa and Romy Doroton by Anette Tomei of Wander, Eat and Tell. At the time of the class, my teacher Steven Shaw asked why there weren’t more Filipino restaurants in the US on his e-Gulltet site. The question is still out there because a recent article in the Los Angeles Times wondered the same thing. In a medium saucepan, combine 1/2 cup cream, 1/2 cup milk, the coconut milk and 3/4 cup sugar. Bring to a simmer over medium heat, whisking well. 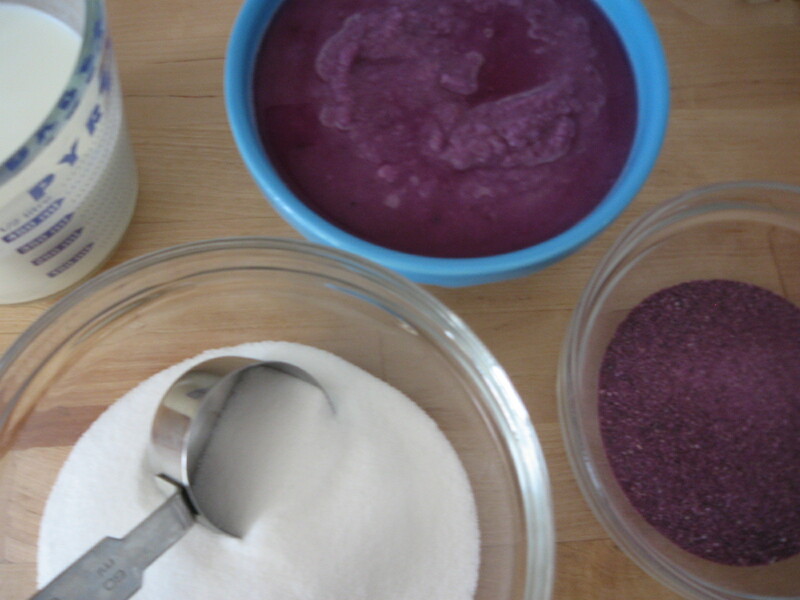 Add the ube powder. Whisk well. 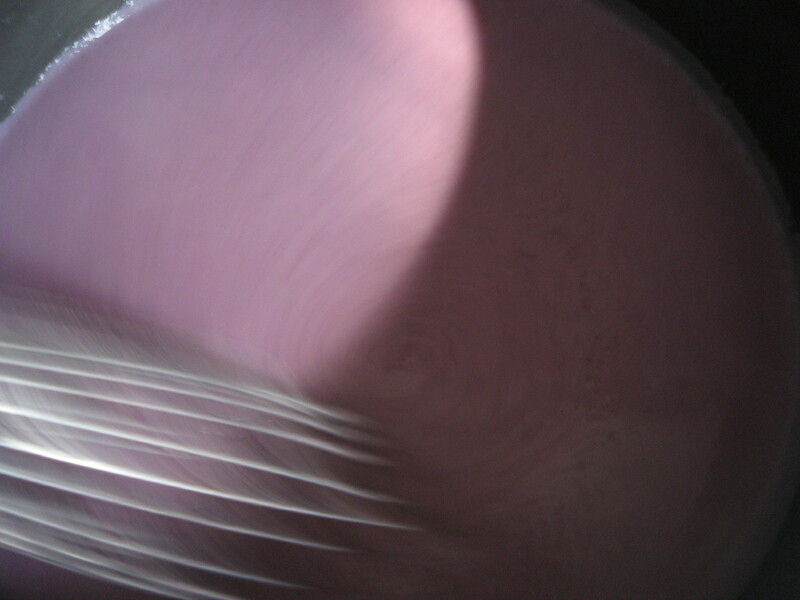 Whisk in the ube puree, lower the heat. Switch to a wooden spoon. Stir constantly until the mixture starts to pull away from the sides of the pan. Reserve. In a clean saucepan, combine 1 1/2 cups cream, 1 1/2 cups milk, and 3/4 cup sugar. 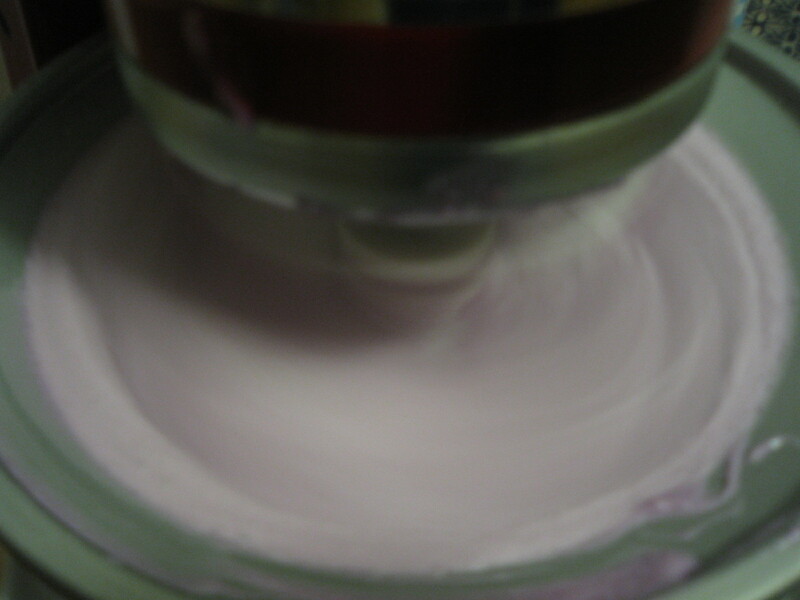 Add the ube mixture, whisking well until completely blended. Simmer for 2 minutes. Pour into a bowl and set the bowl in an ice bath. Stir frequently until completely cool. 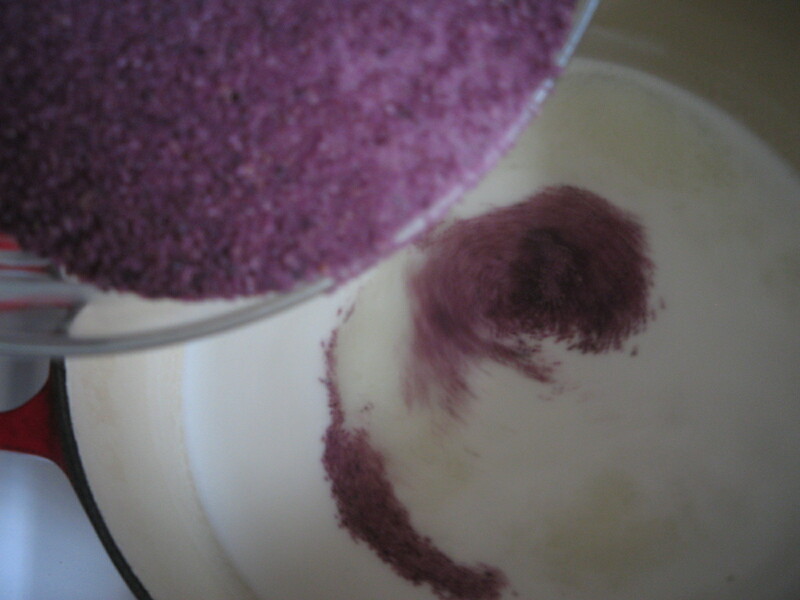 In a blender, blend the mixture until smooth. Strain. Chill in the refrigerator until completely cold, at least 3 hours. Freeze according to the directions for your ice cream machine. Store frozen in an airtight container. you’ve done it well 🙂 you seem to be pro in all stuffs about cooking.